By now, most people who make regular use of the Internet will have heard of HTML5 at some point, and a good portion of them will understand that it’s the next generation of the mainstream HTML web coding family. Other than this, HTML5 has arrive on predominantly silent wings, enthusiasm for what it has to offer limited to the niche group of “techies” who aren’t intimidated by coding languages. 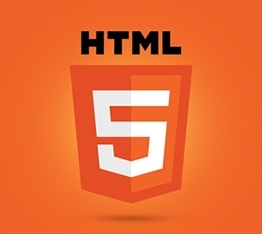 Regardless of technical ability, however, HTML5 is certainly worth getting excited about. Due to be finished later this year, the web’s next biggest coding language promises a simpler era of coding, including new <audio>, <video> and <embed> tags, making the management of multimedia on websites easier. Perhaps HTML5’s most exciting addition, however, is not just the simplified implementation of interactive media, but the <canvas> tag, which – hailed as a “Flash killer” - allows the creation of animated graphics through scripting . Until now, simple animation utilities such as Adobe Flash and Java have been victim to a turbulent onslaught of text-based browser coding, causing compatibility issues across popular browsers. HTML5 looks to finally remedy this, by simplifying the means by which such animations are displayed. Of course, with the new liberties in the graphical frontier that comes with HTML5 come those willing to make it even more simple. If coding still doesn’t appeal to you, then there are some HTML5 animation tools that do the hard work for you, such as the one built into Google’s own Web Designer or the browser-based Mixeek. Despite getting off to a slow start due to inconsistent compatibility across browsers, HTML5’s first incarnation is due to be completed later this year, so now’s a better time than ever to embrace a new, simpler age of coding. With that said, 2014 also delivers a call-to-arms for the technophobes with little-to-no coding experience to finally get stuck in and take advantage of the accessibility that HTML5 delivers.